Tuesday Poll: Does a Wood Phone Interest You? Four months after introducing the Moto X at a press event in NYC, Motorola has delivered on one promise made that I’m not sure the world really expected it would ever need to see fulfilled. I’m talking about wood backs on phones, of course. Can any of us safely say that we ever imagined owning a phone made up of the natural material? I can’t. That’s not to say that owning a phone made of Bamboo, Rosewood, Ebony, or Teak wouldn’t be cool, it’s just that the thought of it hadn’t ever crossed my mind. 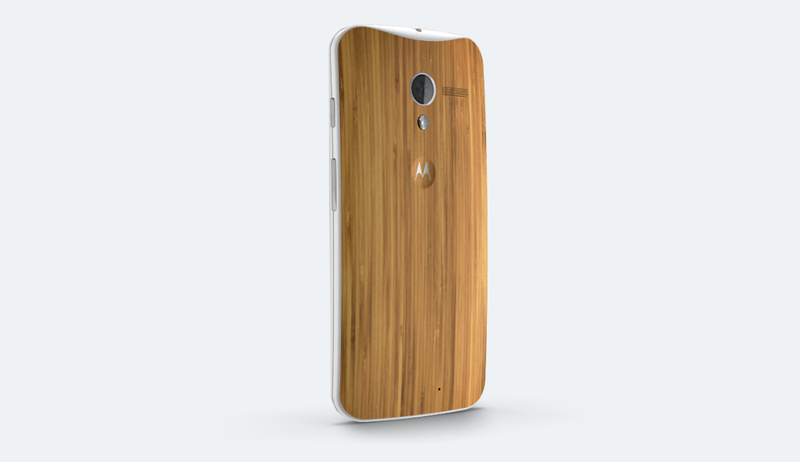 Whether or not I had dreamed of wood is inconsequential at this point though, since Motorola has made Bamboo readily available for their Moto X through MotoMaker. They didn’t exactly deliver all four originally promised wood options, but again, Bamboo is available now. And that brings us to today’s poll, which we realized only today that we had yet to ask. Does a real wood back on a phone even interest you? Over the last few months, we’ve talked quite a bit about wood and paying a premium for it. But now that Bamboo is ready, we get the feeling that not everyone is willing to pull the trigger. That could be because Bamboo wasn’t the option you had in mind. It could also be that you are worried about the durability of wood, the extra $100 you’d pay to have it on a phone, or something else. Or maybe it’s exactly what you wanted and you have already placed your order. Maybe? In the poll below, we aren’t exactly focusing on the Moto X. We want to know – in general – how you feel about phones made with wood. It could be the next Galaxy phone or whatever HTC is cooking up, but we want to know if you would buy a phone that uses wood. Does a phone made with wood interest you? Yes, I would buy a phone that was made with wood. Maybe, but only if there were choices in wood finish. No, not interested in a phone made with wood.